Your Heavenly Father wants to come and breathe new life into you. When God created man He breathed the breath of life into him. When His Son came He also came to breathe new life into humanity. This life came in the form of His Holy Spirit, living and dwelling within. 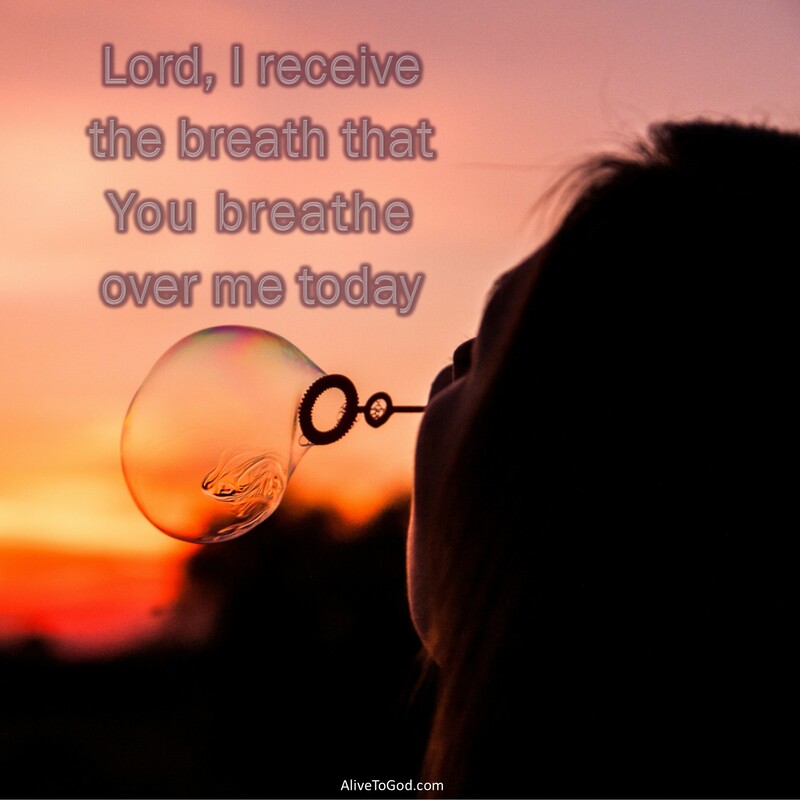 Prayer: Lord, I receive the breath that You breathe over me today. I want all that You have prepared and destined for me to enjoy and experience. Let Your life flow through my life! Amen. Jou Hemelse Vader wil na jou toe kom en nuwe lewe in jou in blaas. Toe God die mens geskep het, het Hy die asem van die lewe in hom in geblaas. Toe Sy Seun gekom het, het Hy ook gekom om nuwe lewe in die mensdom te blaas. Hierdie lewe het in die vorm van Sy Heilige Gees gekom om binne ons te lewe. Gebed: Vader, ek ontvang die asem wat U vandag oor my blaas. Ek wil alles hê wat U vir my voorberei en bestem het om te geniet en te ondervind. Laat U lewe deur my lewe vloei! Amen. Tu Padre Celestial quiere venir y soplar nueva vida en ti. Cuando Dios creó al hombre, sopló el aliento de vida en él. Cuando vino Su hijo, también sopló su aliento de vida en la humanidad. Esta vida vino en la forma del Espíritu Santo, que vive y mora en nosotros. Oración: Señor, recibo el aliento que soplas hoy en mí. Quiero todo lo que has preparado para que yo disfrute y experimente. Que Tu vida fluya a través de mi vida. Amén. Cette vie est venue sous forme de son Esprit Saint qui habite et demeure en nous. Ang iyong Ama sa langit ay gusto kang puntahan at hingahan ka Niya ng bagong buhay para sa iyo. Ng ginawa ng Diyos ang tao, Kanyang hiningahan ng hiniga ng buhay ang tao. Ng ang Kanyang Anak ay dumating, Siya din ay dumating para hingahan ng bagong buhay ang sangkatauhan. Ang buhay na ito ay dumating sa anyo ng Espiritu Santo, nabubuhay at tumitira sa loob natin.